Happy Easter to you and yours. See you next week! 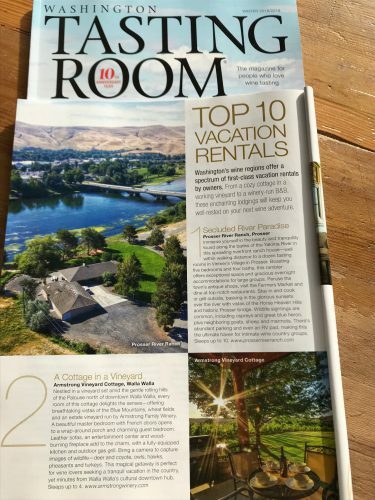 We are thrilled to have our Armstrong Vineyard Cottage – the charming 2-bedroom guest house at our property in Walla Walla – recognized as the #2 Washington Vacation Rental by Tasting Room Magazine. Check out the article below, and invite you to learn more. We hope to see you at the cottage! Nestled in a vineyard set amid the gentle rolling hills of the Palouse north of downtown Walla Walla, every room of this cottage delights the senses – offering breathtaking vistas of the Blue Mountains, wheat fields and an estate vineyard run by Armstrong Family Winery. A beautiful master bedroom with French doors opens to a wrap-around porch and charming guest bedroom. Leather sofas, an entertainment center and wood burning fireplace add to the charm, with a fully-equipped kitchen and outdoor gas grill. Bring a camera to capture images of wildlife – deer and coyote, owls, hawks, pheasants and turkeys. 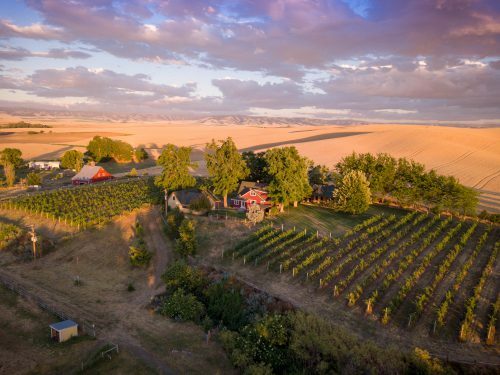 This magical getaway is perfect for wine lovers seeking a tranquil vacation in the country, yet minutes from Walla Walla’s cultural downtown hub. Sleeps up to 4. 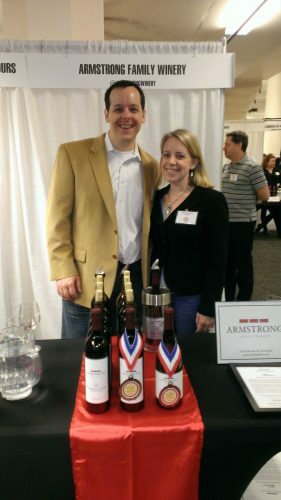 Five years ago, we opened our doors in Woodinville and sold our first bottle of wine (below left). 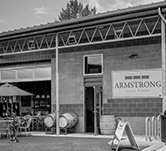 We were in the midst of harvest (our first harvest crew in our own cellar, below right), there was no art on the walls, and the finish on the tables and bar we’d built from our home’s old cedar deck boards was barely dry. 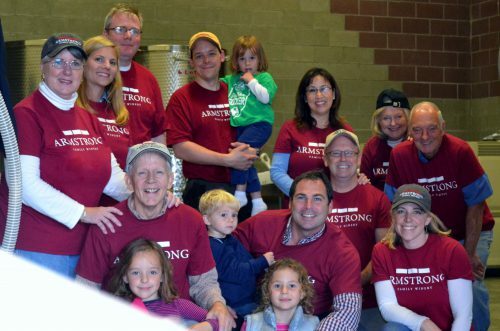 It was an exciting time for us as a first-generation winemaking family, building a wine business from scratch. 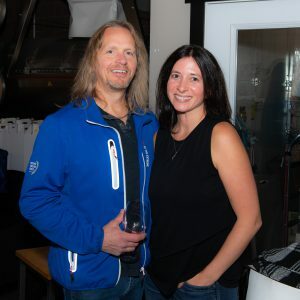 After two years of making wine in the back of another winery, we were thrilled to finally have have our own space and 400 cases in bottle to share with others. On one hand, that day seems like just yesterday. 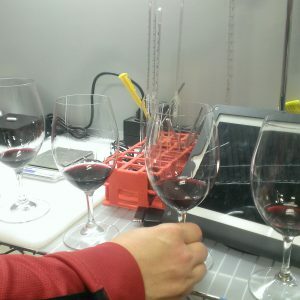 We are still working hard, constantly stretching to make the best wine and provide the best experience we can for our customers – art on the walls or not. 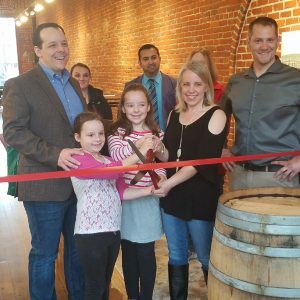 Yes, since that day, we have had the honor to share our wines with thousands of guests in that same tasting room, and now, in our Walla Walla tasting room, as well as at events across Washington State. 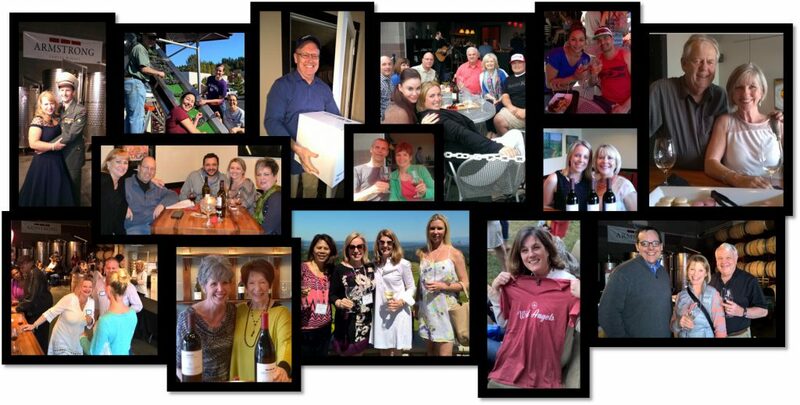 And yet, we are still equally excited and genuinely awed by the opportunity to share our work – our wine – with each person we meet. On the other hand, of course, it’s hard to believe it’s only been 5 years. 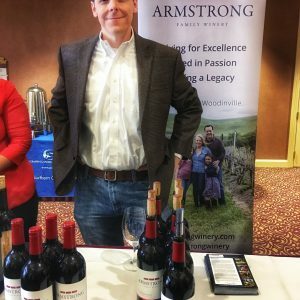 We’ve had so many experiences – pouring wine at fine events, meeting so many interesting people, working late (all nighters!) 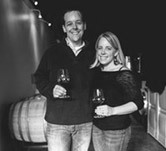 making wine, planning events, increasing our production to the point that we were out of space, buying a farm, opening a second tasting room… the list goes on. And of course, our preschoolers are now approaching middle school (and yet somehow, Tim and I haven’t aged! haha.) These five years have taught us so much about what it takes to succeed. About hard work, about diligence, about consistent attention to quality, and about constantly striving to do better. These first five years have been more challenging than we could have imageined, for sure, but also more rewarding. Five years is a long time in many respects. 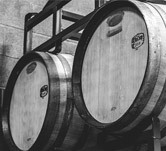 In the wine industry, where the investment of time and resources comes years before the product is even ready to be introduced to the world, five years feels like a very long time. And yet at the same time, because this business cycle takes so long, in reality, we’ve really only just begun. 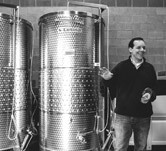 We have worked hard to partner with excellent vineyards, invest in top-of-the line equipment and barrels, and use low-intervention processes that we think bring out the very best in the grapes. This work takes a lot of time, care, investment, and patience. However, we want each and every bottle to deliver an exceptional experience for you, and that is what makes this work so worth it. We are grateful for the support and friendship of so many over these years. It is your enthusiasm for our wines that inspires and drives us forward. We thank our team members for their tireless work and dedication, the many others who have helped us in any number of ways, and most importantly, our customers and members. Without you, we could not do what we do. There is a lot of work left for us to do. 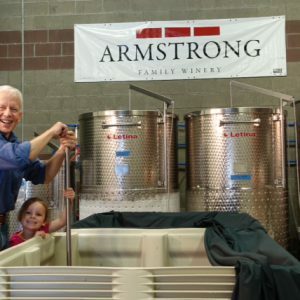 But as we grow beyond our infancy as a winery business, we are committed to always improving in terms of quality of wine and guest experience, while preserving (and, in fact, improving!) the personal service, opportunities for exceptional experiences, and level of connection. 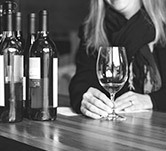 We look forward to growing our Wine Club, which is the heart and soul of our business, and improving the quality of the experience for members. 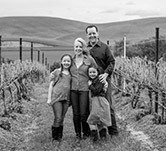 And, while we aim to stay boutique and personal, we look forward to sharing our story and our wines with new wine-loving friends in Washington and beyond. For those of you who have been with us from the beginning, thank you. We are so grateful for your continued support. And for those who have joined us along the way, thank you, too! We are so glad to have you along for this exciting ride. 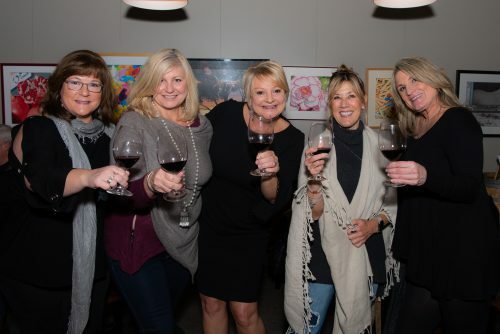 Below are some pictures, many of which were taken by our friend Bob Clancy (Bob Clancy Photography), of our recent 5-year Anniversary and Club Release Party in Woodinville. This is just the start of our 5-year celebration. Look for more about additional events and opportunities coming soon! Cheers, friends. Here’s to the next five! Word of mouth is a powerful thing. 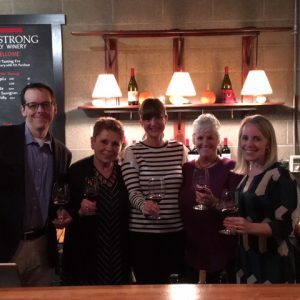 When it comes to helping other people learn about great wines, it may be the most powerful thing. We love telling people about our amazing little town. 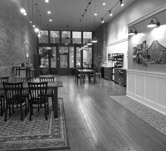 Walla Walla is a place of natural beauty, rich culture, agricultural history and, of course, world-class wine and food. 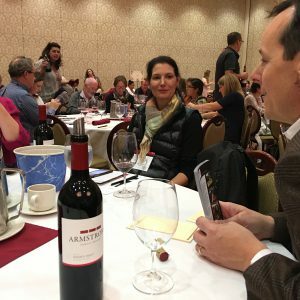 Earlier this month, the great folks at Visit Walla Walla teamed up with the Walla Walla Wine Alliance and a number of local wineries and chefs to host the 2018 Annual Wine Bloggers Conference at the Marcus Whitman Hotel here in Walla Walla. 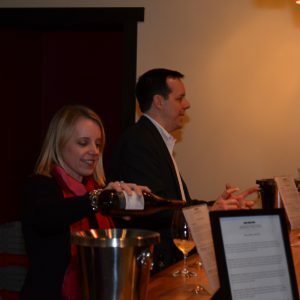 The conference, organized by Zephyr Conferences, changes venues each year to offer their attendees an opportunity to visit great wine destinations around the world; it was unique opportunity to have it here in Walla Walla in 2018. 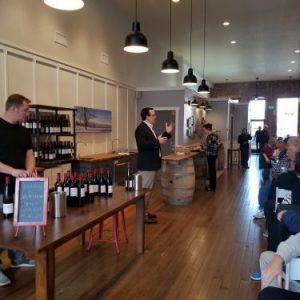 We were thrilled to participate alongside so many other great local and international wineries as we poured wines for the attendees, shared our stories and even had the chance to host some great folks for a casual lunch in our historic downtown tasting room. 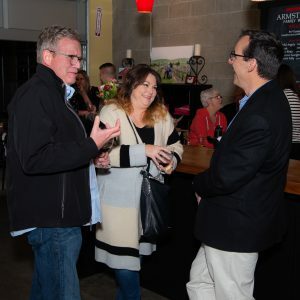 As we mixed and mingled with these wine writers and influencers, it was easy to see why this event was so successful – it’s definitely the people. 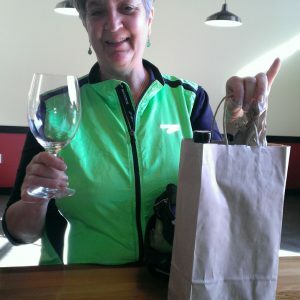 It’s clear that wine people come from all types of backgrounds and all types of personalities. 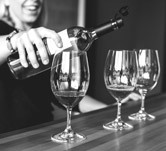 Some do this professionally, while others are more inclined to look at writing about wine as a creative outlet that, while certainly more than a hobby, is not a professional endeavor. 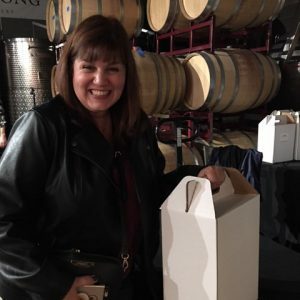 Some attendees were into writing about specific grape varieties, others into how wine and food interact, others yet into the personal stories behind the wines and there was even a wine blogger that was interested in writing specifically about dog-friendly wineries. 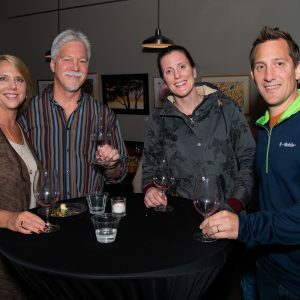 Even though everyone came to this event with their own perspective on what wine means to them, it was clear that they all cared deeply about the topic and, more importantly, about sharing their passion for wine with others. 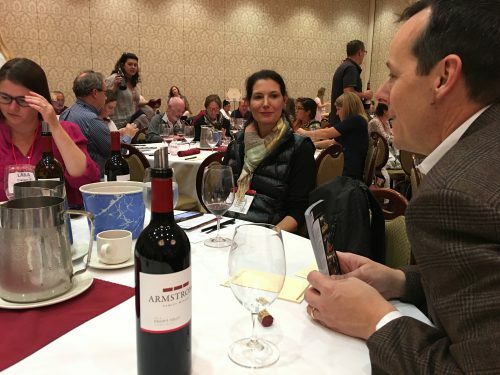 We’re encouraged that the future of the wine industry might be influenced by the enthusiasm, passion and knowledge that we saw in the people attending the Wine Bloggers Conference. We’re obviously passionate about wine and, hopefully, it’s equally obvious that we’re passionate about sharing our enthusiasm with others. 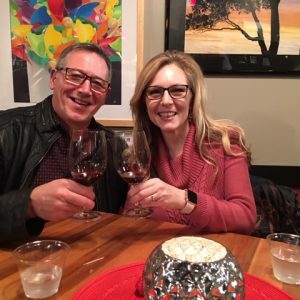 The more open and diverse the wine community is, the more comfortable it will be for new people to approach wine and, hopefully, develop an interest and passion for wine themselves. 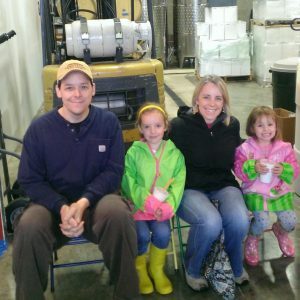 As a first-generation, independant winery, we’re rooting for this. 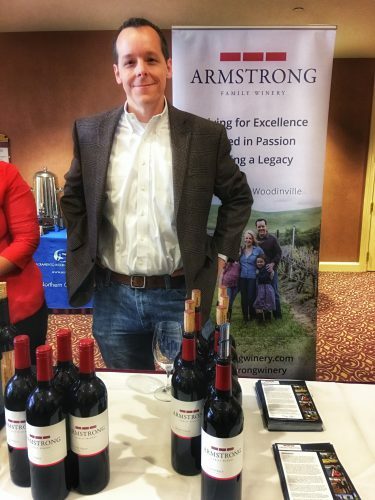 Sitting inside the wine industry, one thing is clear to us… if small, family-owned wineries are going thrive and succeed in a rapidly-consolidating industry dominated by huge companies, we’ll need consumers that care enough to seek out wineries like ours. 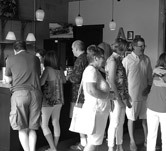 Consumers that care about knowing the people who made their wines and the real-life stories behind them. We simply can’t compete with the marketing and PR budgets of the large wineries so it means so much to us when people help spread the word. 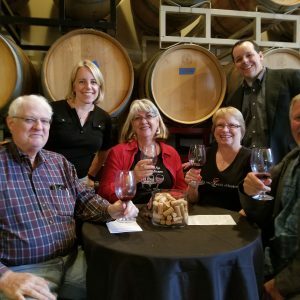 Having the Wine Bloggers here in Walla Walla was not only a great opportunity for us to help tell the world about how great Walla Walla is but it was also a great opportunity to help tell the stories of the many family-owned and operated wineries here. 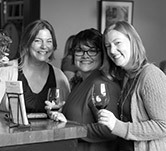 With all that context, we would like to thank the Wine Bloggers for coming to Walla Walla and for the work you’re all doing to help spread your enthusiasm. 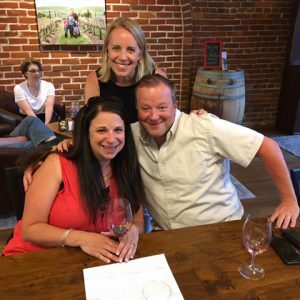 We would also like to specifically thank Caitlin of Sips N Tips for this great article on her visit with us. I never really loved a wine until I met Fronk. Er, Cab Franc, I mean. It all happened at the end of September, 2001, when we were in North Carolina following my sister’s wedding. Tim and I decided to tour the Biltmore Mansion in Asheville, NC. The property was amazing… true royal living designed by a bachelor one hundred years ago. Great archways, all of the modern conveniences of the time (electric lights!) and en entire men’s wing complete with bowling alley and gym. 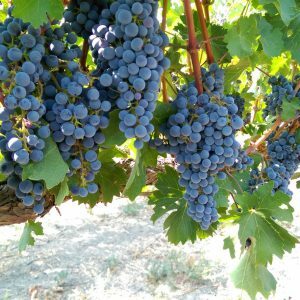 The property was still owned by the family and subsequent generations decided to put the land to use in a variety of ways – including by growing grapes. 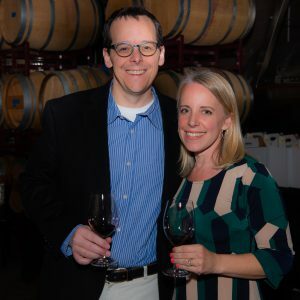 Later, they had started a winery using estate grapes, as well as grapes sourced from around the region and from across the country in California. 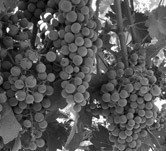 I enjoyed the tasting… Back then, to me wine was wine. Pretty enjoyable… pretty similar. And then there was Fronk. It wasn’t called Fronk, of course. 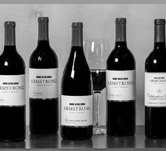 Simply Cabernet Franc… the name of the grape varietal. But there was something about it that made me take note. A bit of bright fruit, but something more… herbs and pepperiness. All kinds of delicious flavors – so much going on! 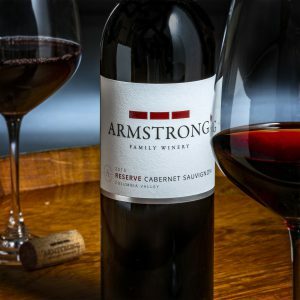 For the first time, I really paid attention and was amazed at how interesting and delicious wine could be. 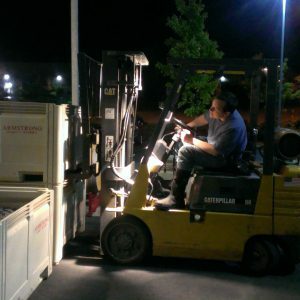 We bought our first case of wine that day. 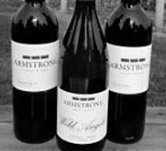 A case of Cabernet Franc. And over the next many months, when the occasion called for a special wine, I often found myself declaring, “I want my Fronk!” A nickname was born. Happy Holidays! We hope you are enjoying a joyful and relaxing holiday season. 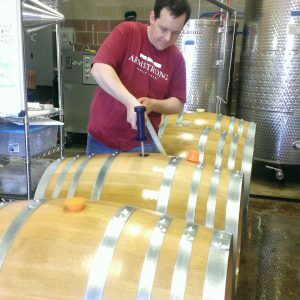 ​The winery will be closed on Saturdays and Sundays through the end of December. 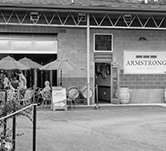 In January we will resume our regular Tasting Room hours: Friday 3-7, Sat/Sun noon-5pm. We wish you and yours a very merry holiday season and joyful, healthy 2017. We decided to create a new website that would launch just before harvest. But, as things go, the website was delayed and harvest was early! What were we thinking? We’re excited about our new site and look forward to providing much more information about our winery, the vineyards we work with, our wines and the people behind it all. During harvest, however, it’s all hands on deck working with the grapes, cleaning equipment, managing fermentations and cleaning some more! So, the website will have to wait. We appreciate your interest and ask for your patience as we work to get the site completed later this fall.